Looking for that next Leadership Role! Can you recommend good recruitment companies? A week flies by when your having fun, enjoying the sun, adapting to no commute and being at home. One week on and now I need to start looking for my next challenge (I can’t sit still for too long). Linkedin is certainly a powerful tool and thank you so much for everyones messages wishing me well over the last week. Now I would like to see how the power of Linkedin really can make a difference in finding a new position and ask for your help in recommending the head hunters, recruitment companies or website you use if you are recruiting a senior manager/director in your organisation, and if you don’t recruit are you connected to anyone you think I should be in touch with. I am looking for Interim or permanent MD, Operations or senior exec roles with within OH or in new industries both in the UK or abroad. Please do get in touch if you have or know of any suitable positions. I would like to announce that as of the 13th June 2014 I will be stepping down as Managing Director and leaving Corporate Health. Following a review of our current roadmap and discussions with the Board it is clear now is the time to step aside and hand over the operation of the charity to Dr Nicola Cordell and the management team, who will focus on strengthening and growing the clinical team and the delivery of quality occupational health services to our customers. Over the last two years we have restructured our operations and delivery model, putting in place a back office team, systems and finance process to support the “front line” clinical team and others delivering the Charitable Objects of Corporate Health. It is from these strong foundations that further improvements and system enhancements will streamline operations and improve the customer experience as part of the evolution and growth of Corporate Health. We continue to keep our overheads to the necessary minimum, and have now restructured the organisation for optimal efficiency and effectiveness. After a long search we have identified a very experienced Medical Director, Dr Nicola Cordell FFOM, who has excellent managerial and clinical skills, and who has a clear sense of what we are about as charity and shares our vision. With her formal appointment, I am now able to step down from leading the Charity, as I have long considered that the right Medical Director would be able to combine the clinical and executive leadership roles in Corporate Health, and indeed this is the model that we have followed for most of the last 67 years, since we were formed as a charity providing occupational health services in Slough in 1947. My departure also allows for further investment in the clinical delivery team to strengthen our position, and to continue to drive forward the Charity’s expertise and commitment to high quality of provision for our customers. At this point I would like to thank all of those employees, partners and customers who have supported the Charity as we have evolved; your support of the Charity and myself has been inspirational and will no doubt continue to be one of the key elements of success as Corporate Health goes forward. I will certainly miss working with such a dedicated and positive group of individuals, who understand the importance of delivering a service which meets the needs of our customers. Your support and commitment is to be commended and something we can all be proud of. 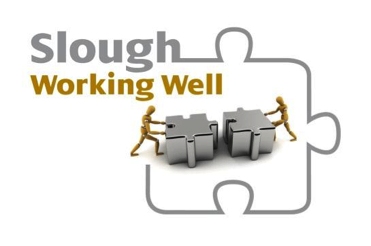 This event will also be a great opportunity to network, learn, meet key partners and providers of related services and get involved in the Slough business community.